Chennai, July 27 (IANS) Actor-filmmaker Kamal Haasan has plans to revive Tamil-Hindi bilingual action thriller “Thalaivan Irukkiran”, which he had planned to make with Saif Ali Khan two years ago, a source said. Announced in 2015, the project was planned to be made in Hindi as “Amar Hai”. “Kamal sir plans to revive ‘Thalaivan Irukkiran’ after the release of ‘Vishwaroopam 2’ and ‘Sabash Naidu’. It has been his long-time desire to work on this project as it’s a script very close to his heart,” the source, who is close to Kamal, told IANS. Originally, the film was supposed to be produced by Virendra K. Arora and Arjun N. Kapoor. 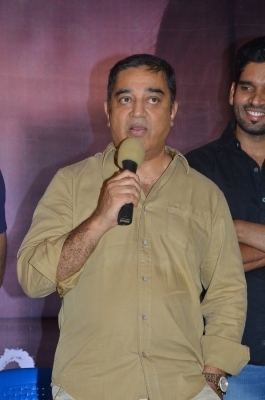 Kamal was to write and direct the project, in which he was supposed to play the antagonist. “It’s not sure now who is going to produce the film. We are not even sure if it will still be made in Hindi as well. He wants to revive the project but there is no additional information on the film at the moment,” the source added. The film’s story will touch upon modern-day politics, finance and the underworld. Meanwhile, Kamal will commence work on currently stalled trilingual comedy “Sabash Naidu”, a spin-off based on the popular character Balram Naidu from Tamil blockbuster “Dasavatharam”.